Measles virus particle, coloured transmission electron micrograph (TEM). 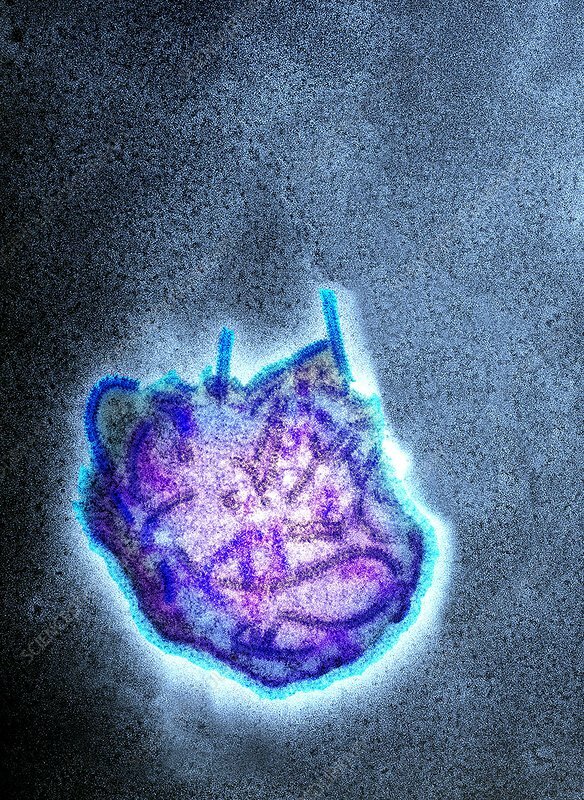 This virus, from the Morbillivirus group of viruses, consists of an RNA (ribonucleic acid, purple strands) core surrounded by a envelope (bright blue) studded with surface proteins, which are used to attach to and penetrate a host cell. Measles is a highly infectious itchy rash with a fever. It mainly affects children, but one attack usually gives life-long immunity.